It’s Juno weekend in Vancouver. For those who think music died with Bowie and Prince, the event doesn’t carry much weight (three weeks ago, I didn’t know what a “Hedley” was. Now I’m trying to forget), but at least the side attractions are quite fun. 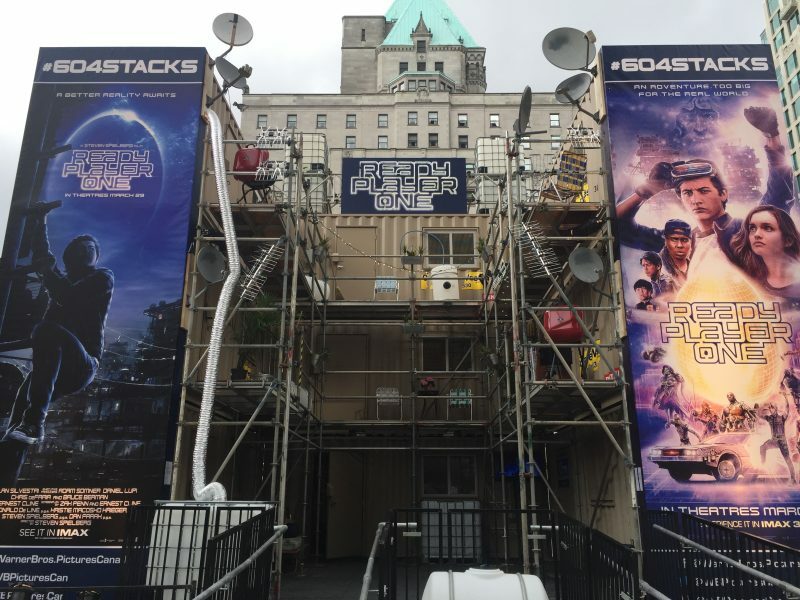 Chief among them are the #604Stacks, the low-income housing featured in Ready Player One, Steven Spielberg’s latest movie based on the Ernest Cline best-seller. The stacks are shipping containers -not unlike Brazil favelas- that symbolize the widespread poverty and overpopulation that may characterize the planet in 2045. From this environment emerges Wade, a teen gamer who goes on an epic journey -both virtual and in real life- to become a hero for a disheartened population. The #604Stacks are a full scale recreation of the aforementioned housing in front of the Vancouver Art Gallery. Three of the containers are accessible to the public. The first one is filled with classic arcade games: “Centipede”, “Ms. 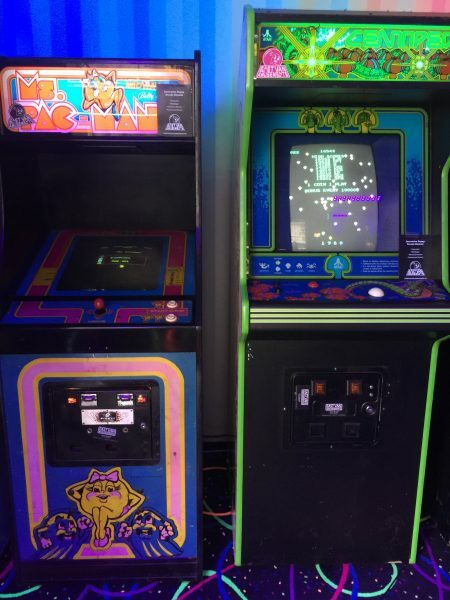 Pac Man”, “Donkey Kong” and the sort. Worth mentioning, the Oasis, the virtual reality universe where Wade spends most of his time, is peppered with 80’s references, and knowledge of the decade’s pop culture and electronic games is indispensable to thrive. 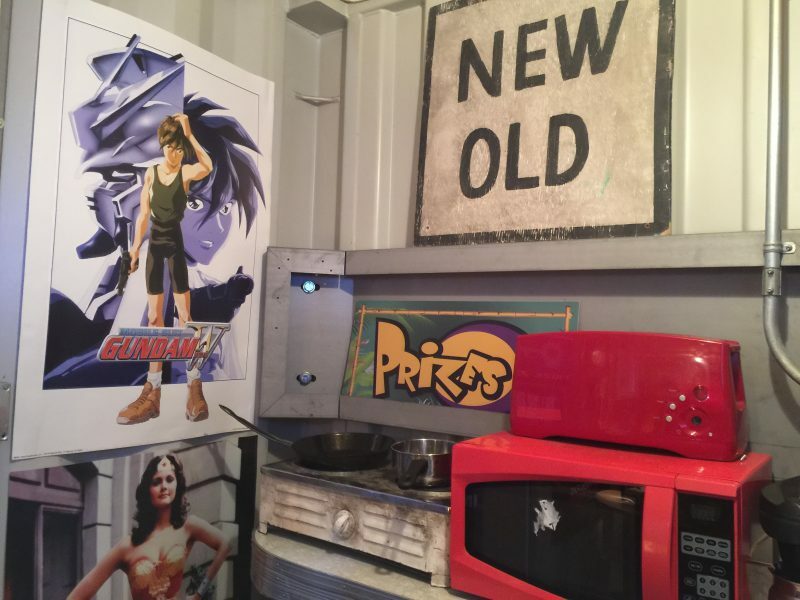 The second container is a duplicate of Wade’s residence (it doubles as rewards area). The third one houses a VR game inspired by the film. “Rise of the Gunters” pits Wade and friends against the corporate agents who want to control the Oasis. I did poorly at “Gunters”, but crushed “Centipede”. Hours and hours of Atari 2600 practice pay off. #604Stacks its open to the public Friday 23rd and Saturday 24th, 12 to 9pm. Ready Player One opens next March 29th everywhere.